His Promise is the sixth installment from Shelley Shepard Gray’s The Amish of Hart County series. I believe this one is probably my favorite I have read of the series so date. I enjoyed Grace’s story. Especially, when John Michael came into the picture. There is a little mystery that needs to be solved that keeps reader interested, as well. I give His Promise four stars. 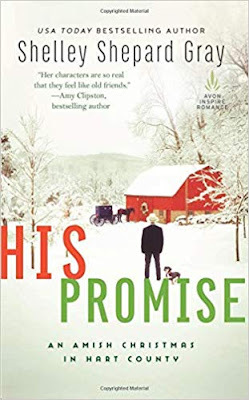 I recommend it for readers who enjoy Christmas time and Amish stories.